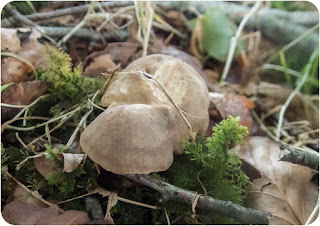 Carmarthenshire Fungi: Philip how are you on Lactarius? 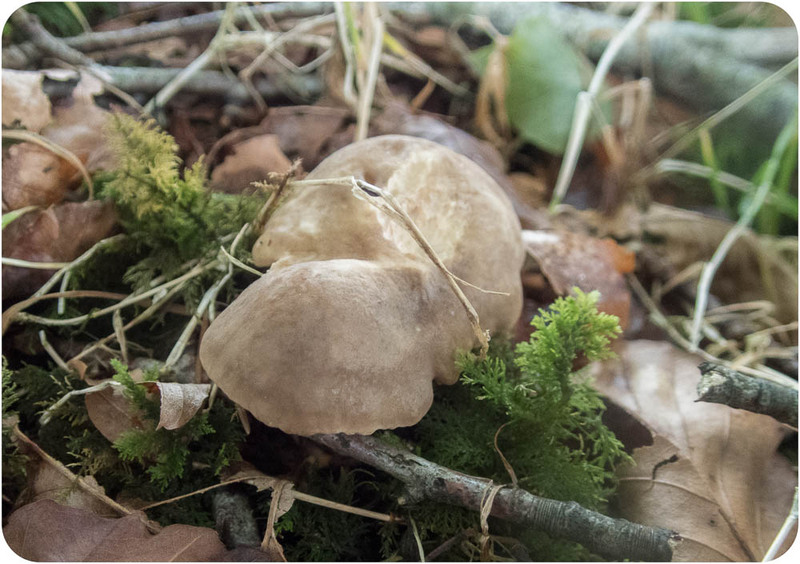 Philip how are you on Lactarius? 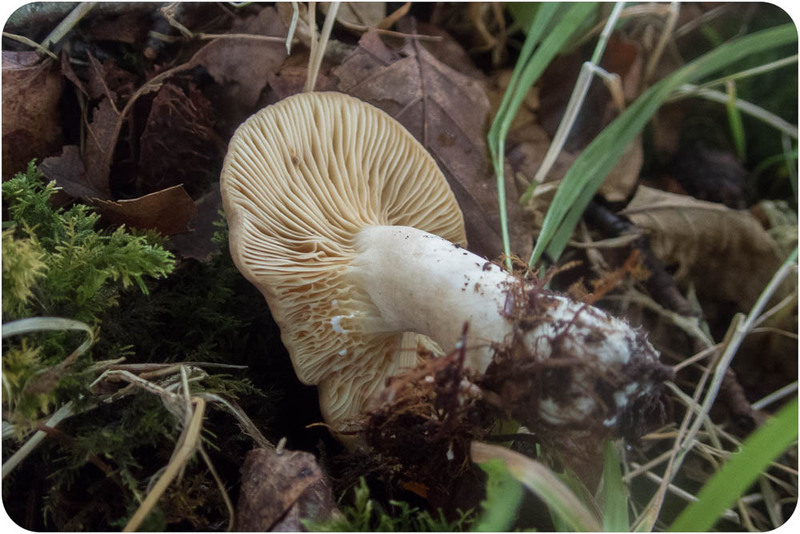 In a small Beech copse I came across this lactarius, which looks to me the splitting image of Lactarius subruginosus, shown on page 111 in Fungi of Switzerland but can't find any mention of subruginosus anywhere else. Has it had a name change, or could the mushroom be something else?? 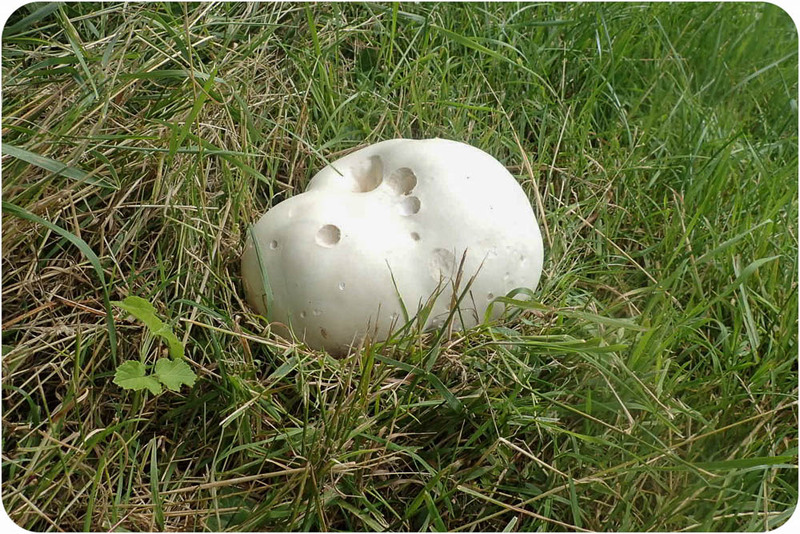 Also found a giant puffball (Calvatia gigantea) alongside the road at Cilsan. It was over 30 cms long and looked good enough to eat. Has anybody ever tried one?? Never tried the giant puffball Colin. Only ever found 2 and both were going over. One appeared in a field in Llandeilo a few years ago but it never fruited there again. The Giant Puffball must take years to gather sufficient energy to form millions of spores. Was in Pembrey Country Park when first opened as they spread chicken manure over vast areas ---- there for a few years, now gone. A field near Kidwelli had these 30+ years ago then not seen there till a couple of years ago. I will look at Lactarius books later. I've made some inquiries regarding the Lactarius. 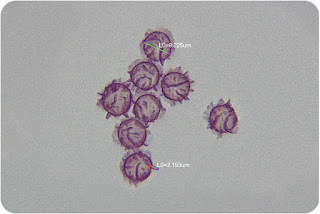 It would seem that L. subruginosus is not recognised as a British species but two other candidates were put forward L. romagnesii and L. ruginosus, because of the shape of the spores. 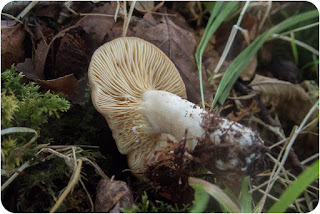 And as the cap is light brown, had an acrid taste and the are no forks in the spore ridges, then it would suggest L.ruginosus. . . . Not east this mycology is it. I have eaten giant puffball - really good when young, sliced, dipped in egg & breadcrumbs or fine oatmeal and fried. Tasty. Don't freeze it however, as it will make everything taste like giant puffball!